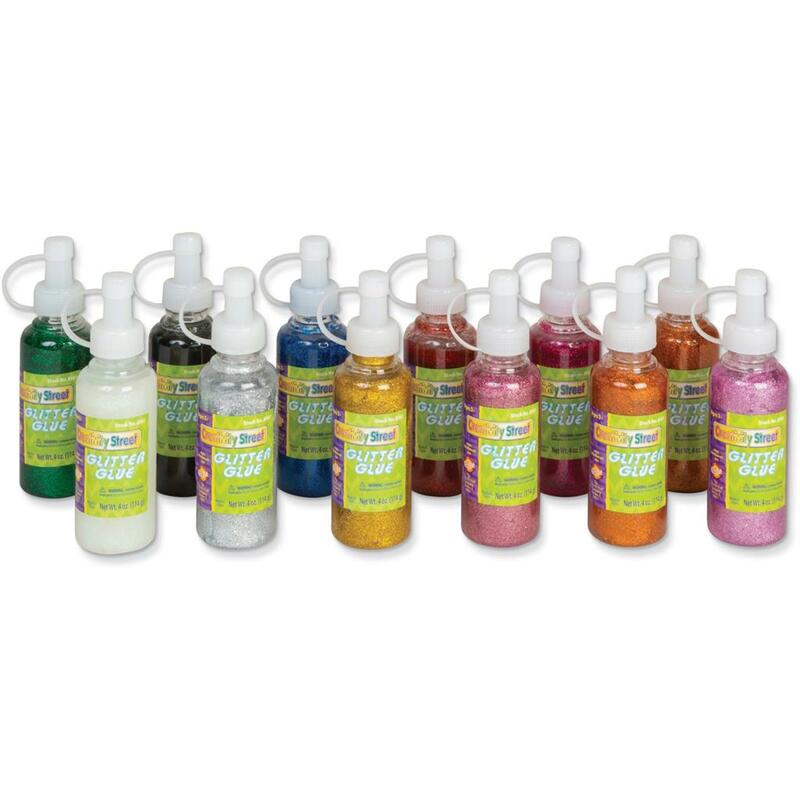 Glitter glue enhances your creations with sparkling accents to provide the dazzling effect of glitter without any of the mess. 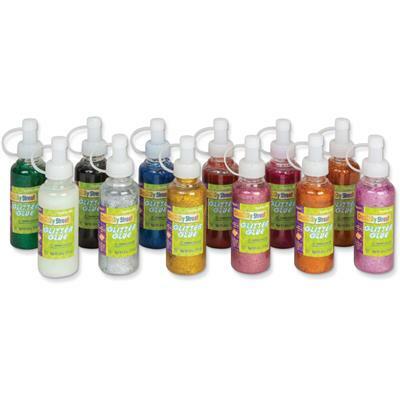 Easy-to-use squeeze bottles allow you to accurately dispense the glue where you need it for clean application. Assorted colors include white, black, orange, red, blue, green, pink, magenta, purple, copper, gold and silver.